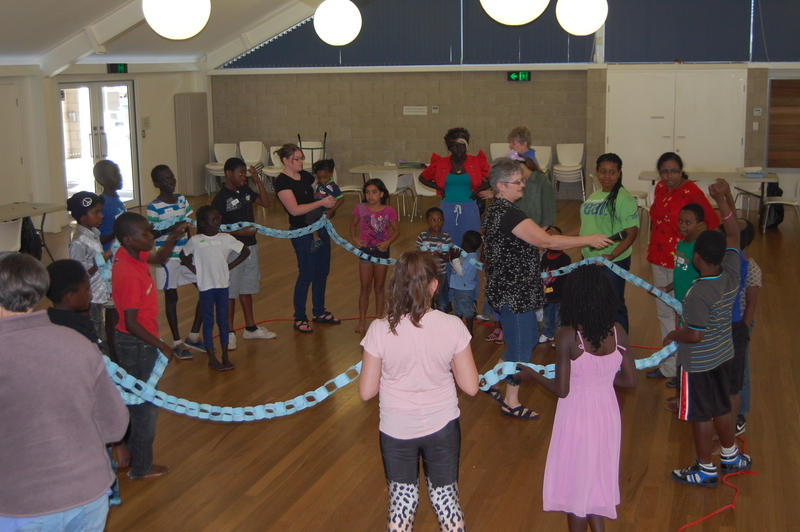 In two Wednesday evening bible classes I taught a group of children about the Burial and Resurrection of Jesus. To help the children experience this story I chose a craft as an activity. 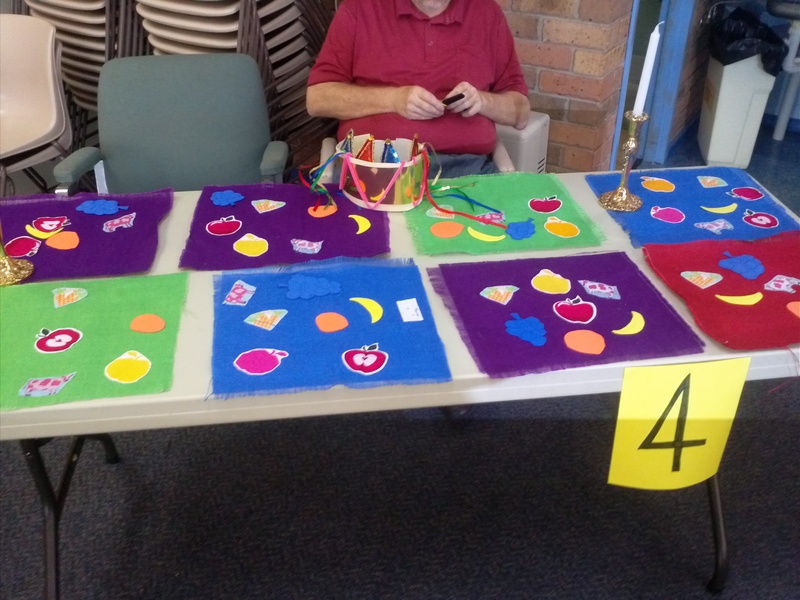 If a teacher chooses an appropriate and meaningful craft then the time spent making it can be used the time to “chat” or talk about what the bible says happened. The children were given paper plates, paper and toilet tissue to make their own tomb, body and stone to re-enact the story. We cut a paper plate in half and cut out a “door” on one of the halves. We painted one side of the plate black and the other grey to resemble the stone tomb. Then we used staples to attach the edges together (see photo above). We cut a simple outline of a body from cardboard. Then we wrapped the body with a couple of layers of toilet paper. After this first layer of toilet paper we then sprayed it lightly with water to dampen it. (I supplied a spray bottle filled with water to make this easy) Then we added a second layer of toilet paper and sprayed it. To add a scent like the spices we dapped on a little perfume. We repeated this with a few layers until the damp (but not soggy) shape resembled a linen-wrapped body. When this dried all of toilet paper remained stuck together. Again, we continued the discussion (from the Scripture above) about burial customs and how they wrapped bodies in linen and placed spices in between the cloths. 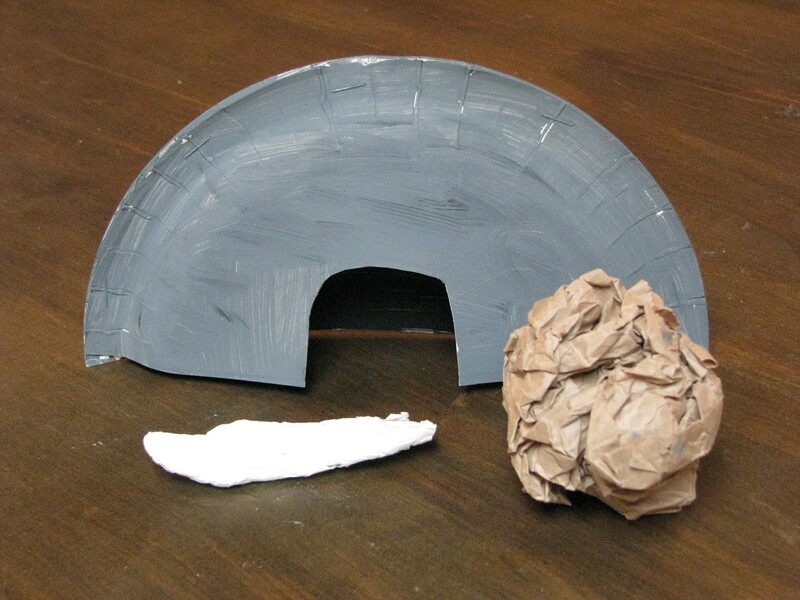 This was simple to make by crumpling up paper into a ball. At this point each child placed their tomb on a table and put the body inside. Each carefully rolled the stone in place. Because everything was still a bit damp we decided to leave them in the classroom until the next week. Of course I told returned the bodies I had hidden but their reaction to an empty tomb was the perfect way to begin the class and talk about the resurrection. The children got to experience the same emotions as the soldiers, the women and the apostles as they each found the tomb empty. Mary Magdelene used almost the same words (verse 13) as the children when she said, “They have taken my Lord away…and I don’t know where they have put him.” (John 20:1-18). This was a great class! Note: You could teach this story in one lesson but you will need to distract the children while a helper removes the bodies from the tombs. 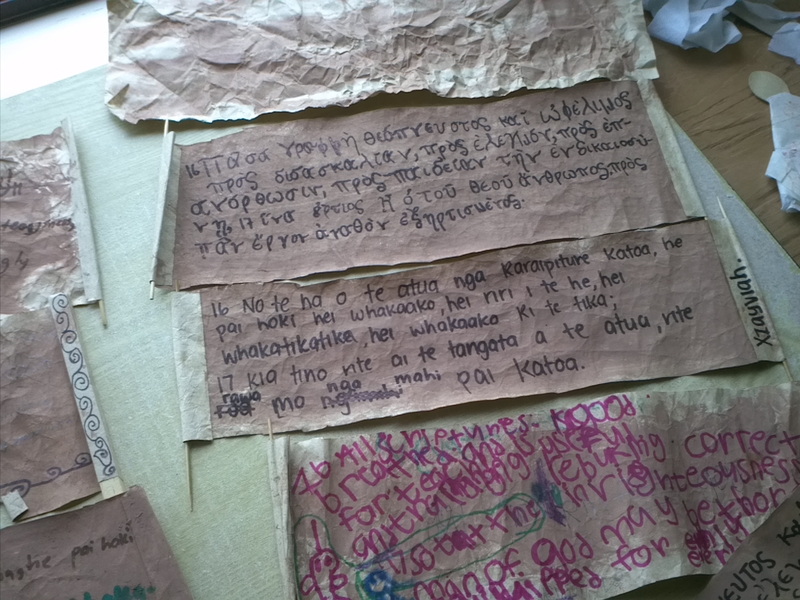 Scrolls can be adapted to almost any lesson using a message or the Scripture you are studying and children love making them. One teacher used them in this way: The children in our Bible classes recently learned about how our modern-day Bibles came about. First they talked about original languages of Hebrew and Greek. Then they talked about how the Bible has been translated into many languages so that everyone has the opportunity to learn about God. They created “ancient” scrolls and copied scripture onto them. Paper cut into a long rectangular strip. Tan or brown paper looks great but it is not necessary. Brown paint and a wiping cloth or brown crayon with paper removed. Tape or glue to attach the sticks to the paper. Pen or crayon to write with. 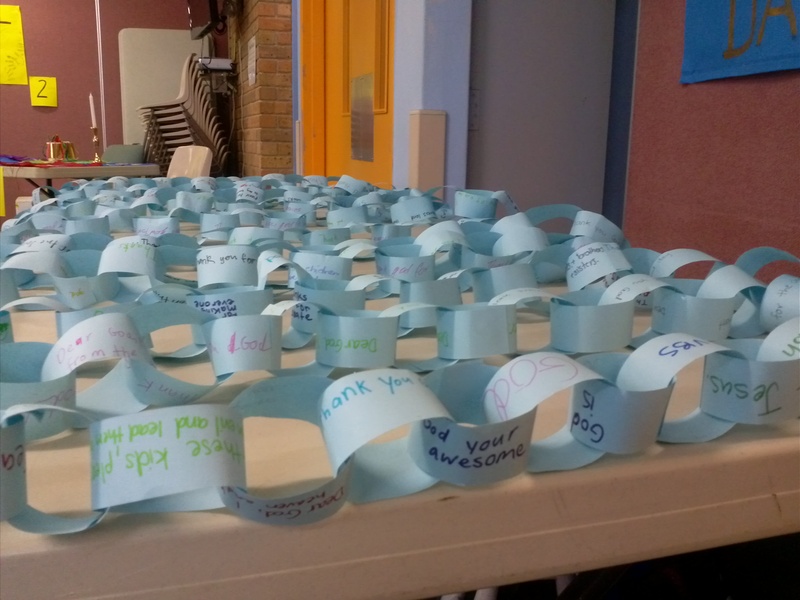 You or the children write a scripture or message on the scroll (alternatively, prepare scroll first and then write). Crunch or wad the paper up into a ball. Then smooth it out and wad it up again. Do this a number of times until the paper is soft and looks old and worn. If using a crayon then turn it on its side and gently rub over the paper. The colour will be uneven and will make the “wrinkles” of the paper stand out better. If using the paint then use a small amount on a cloth. Rub the cloth over the paper so the wrinkles will stand out and the paper look old. Use the glue or tape to attach the sticks at each end. To close the scroll just roll up the ends. Tie it off with twine or ribbon if you wish. 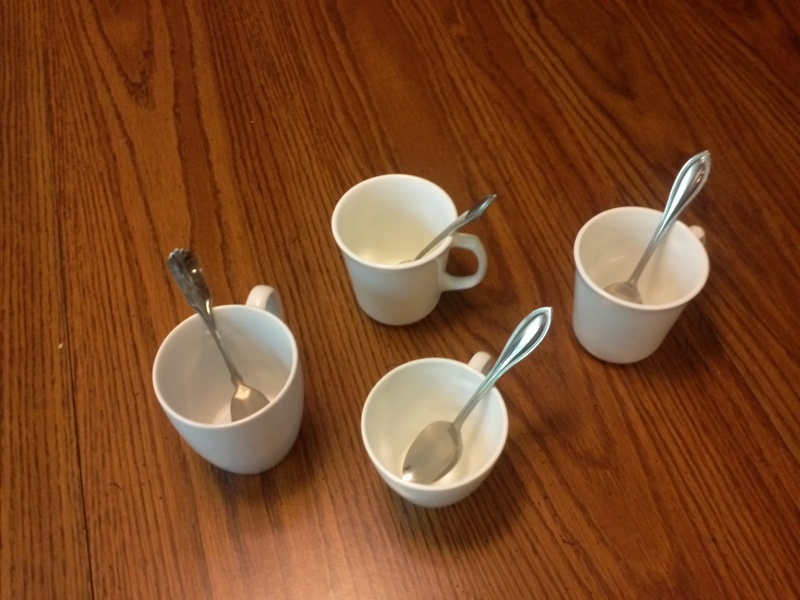 Try this simple idea for telling the story. Younger children enjoy it. Older children will like this one too if they are the ones creating the characters. You or the children draw simple figures and mount them on the sides of upturned paper cups with tape to make stand-up characters. Move the characters around as you tell the story. This visual aid can be adapted to any story. 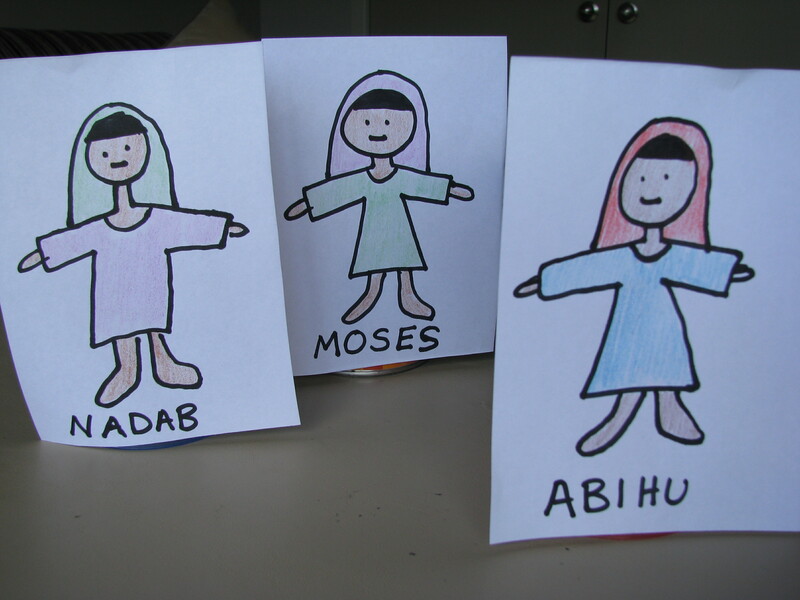 In the instructions I used the story of Nadab and Abihu as an example. 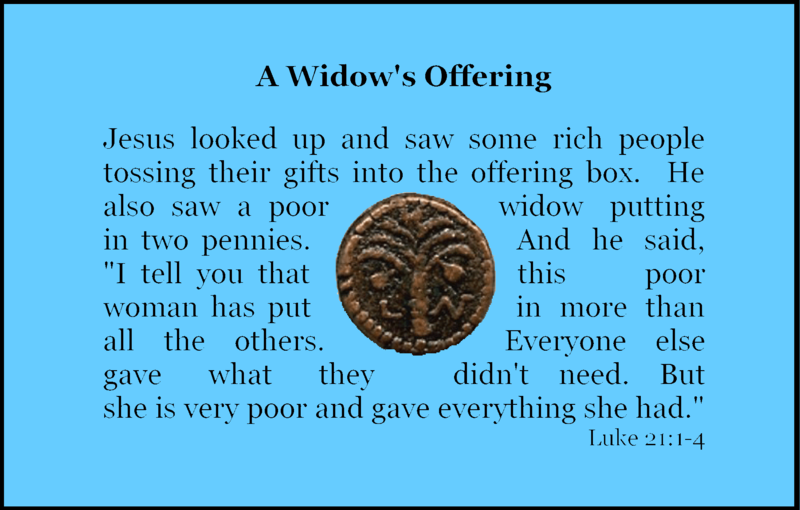 I haven’t covered the story of the Widow’s Mite on my website yet but I came up with this craft for a recent class and wanted to share it. Click here for printable instructions and pattern. Small coins: Foreign ones are more fun. Magnets: These can be flat magnets or magnet strips. Glue, double-sided tape or glue dots that are suitable for both metal and paper. Attach magnet to back of paper with glue or other method. Attach coin to paper in the circular area in the middle. Note: Depending on their metal content some coins will actually stick on the magnets with no glue at all.